Today, I set out to make some unique handmade cards...and wanted them to be fresh, clean and simple. They needed to be simple and clean in design and easy to assemble...let's face it, we're all short on time these days. I also wanted to keep the supply list simple...so I started with one sheet of paper and one pack of ephemera from Prima Marketing Inc. The paper I selected is from one of their recent summer releases Forever Green. 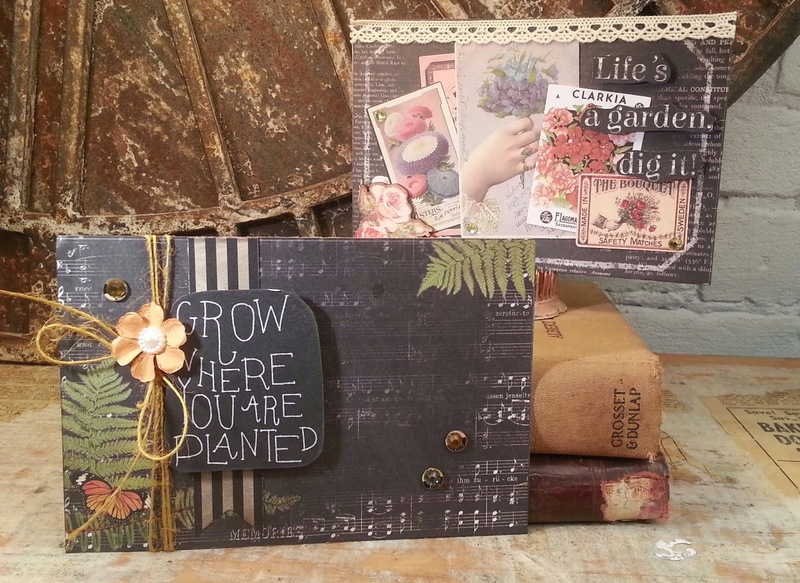 The botanical themes are perfect for summer and it's "chalkboard look" is right on target with the DIY trend in stationery and décor. It's perfect for what I wanted to do. 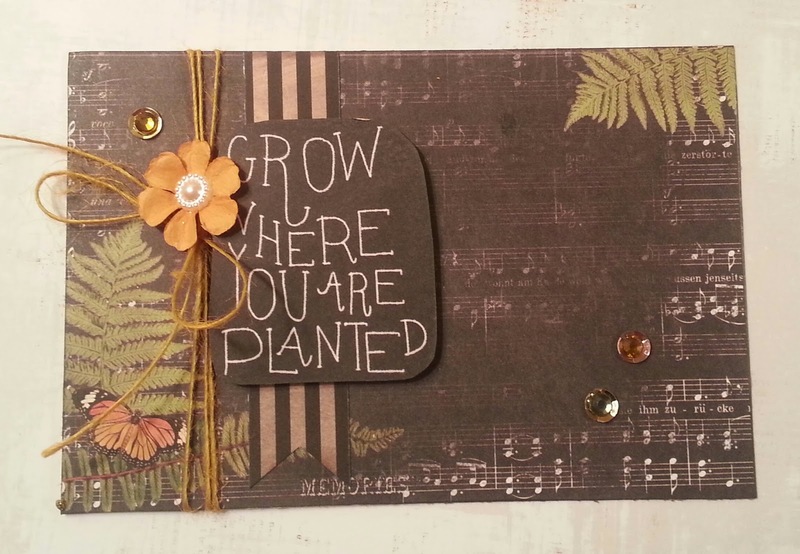 I love making cards, but all too often it seems that my cards get done, done, and over done...and when I've finished I've used every ink, every die cut, nearly every stamp in my stash, and had to run out to the scrapbook store for just one more embellishment...today, I just needed to keep it simple. And I love the results. 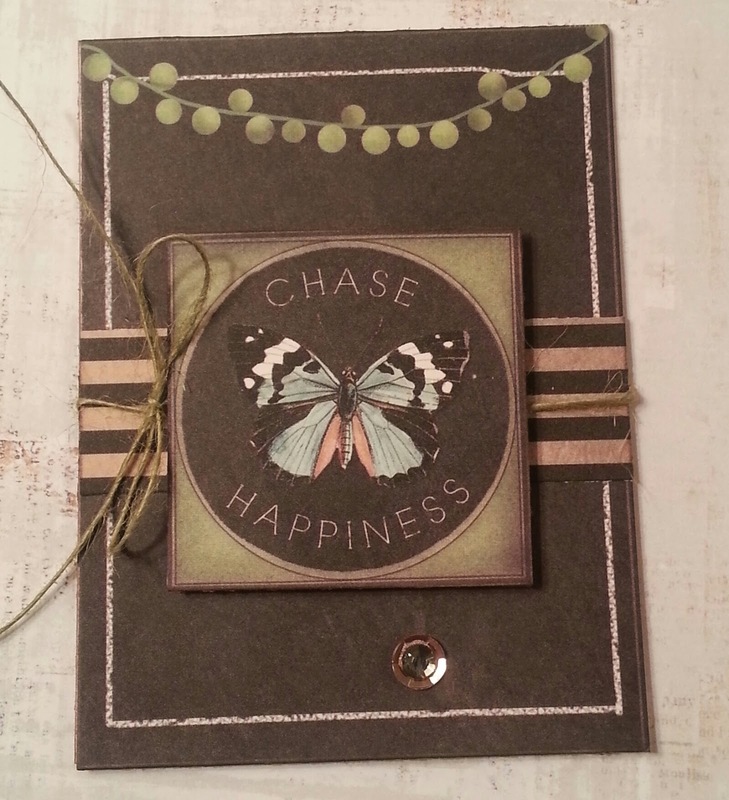 The botanical themes and positive sentiments are really nice...who wouldn't love a card whose simple message is "Chase Happiness?" 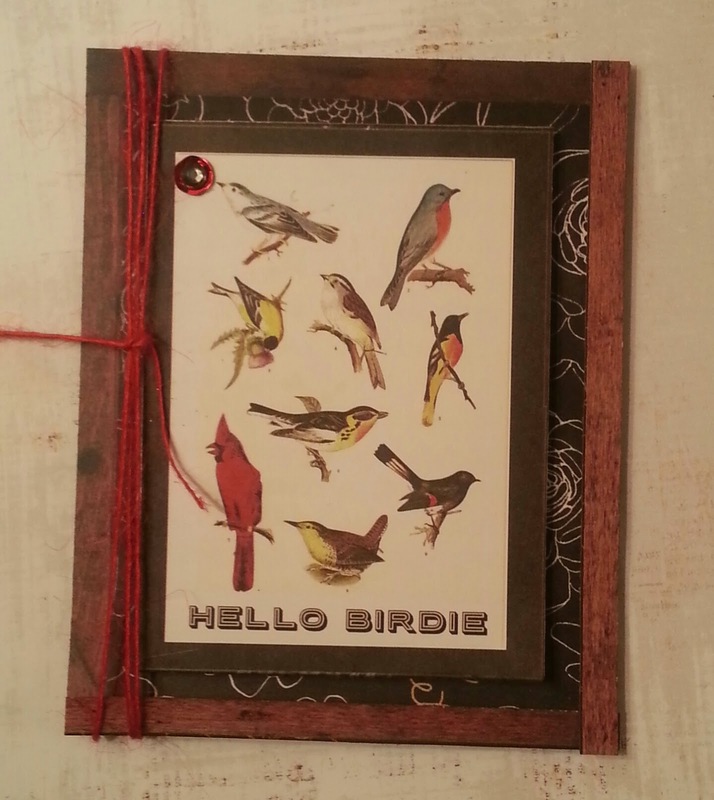 Or, a "Hello" card with illustrations of woodland birds. It's happy stuff! 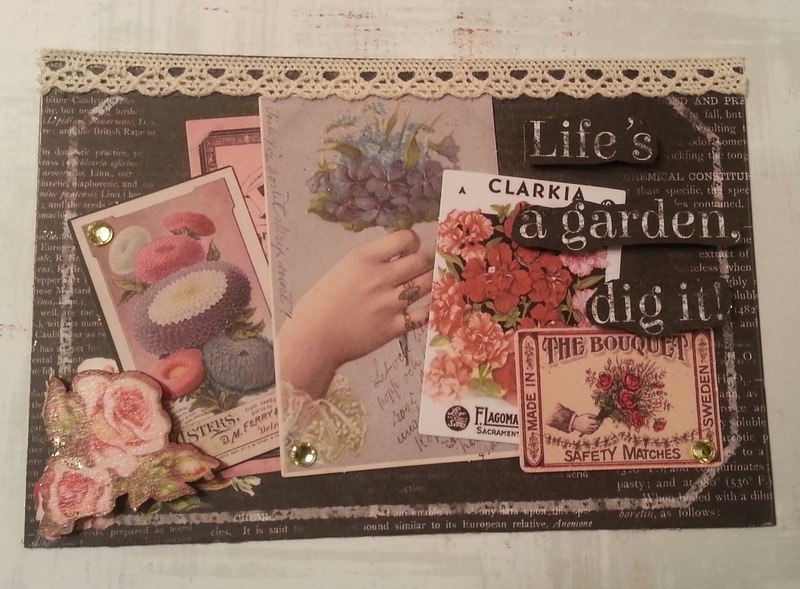 "Life's a Garden Dig it," is a collage of floral themed ephemera, a wooden embellishment and new lace trim...this card is both vintage and fresh and very appealing. And, all the positive affirmations in the paper and ephemera will make the cards I created "just right" for anyone on my card list. 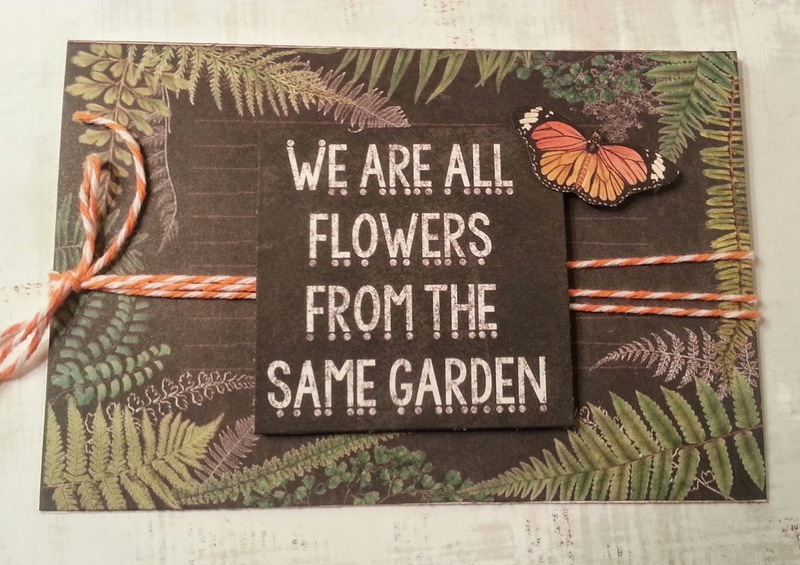 And some of the sentiments lend themselves well to some of my more artistic friends...these cards were fun to make and I hope to offer this as a class soon...I'd love to share it with you. 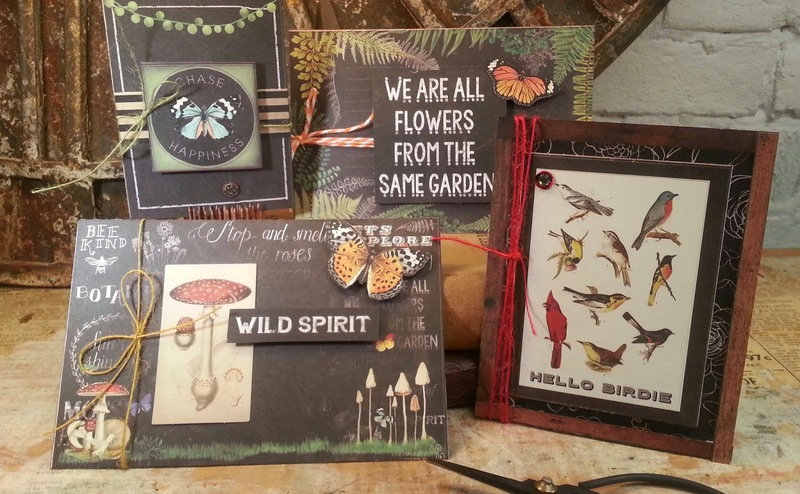 Thank you for stopping by today...I hope you've enjoyed the clean and simple cards I created. I'd love to see you in a class soon...make sure to look over at my "events" page...I have classes listed through the end of August. oh my goodness.... I have to do this... I love them... I must do this soon!!!!!!!! beautiful!!!! These are just fantastic, I love your style!! 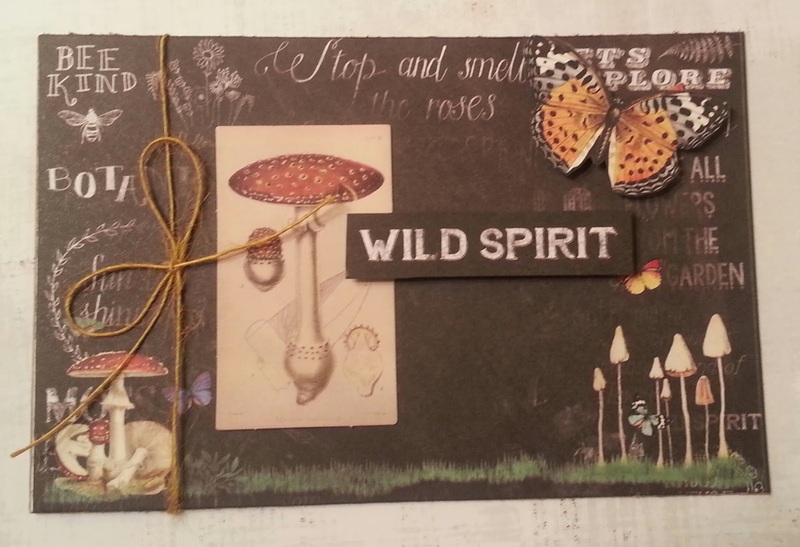 I love that ephemera pack and have it high on my want list. Love your cards!! I've enjoyed your clean and simple cards. 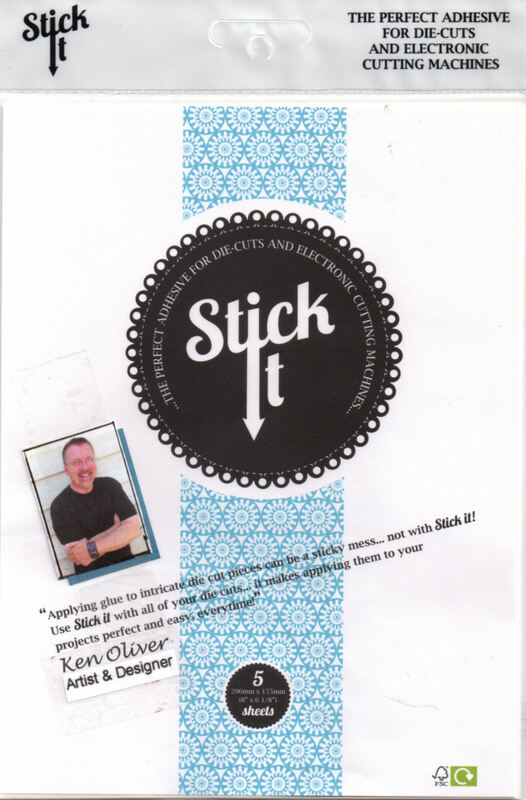 Use of green cleaning technology is really helpful for employees. We see a large improvement in overall health and productivity when dust and VOCs are removed from the office airspace.